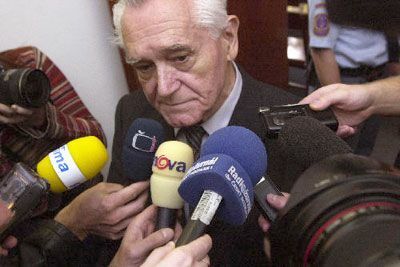 Karel Hoffmann, photo: CTKKarel Hoffmann, a key figure in Czechoslovakia's communist regime who appealed against a four-year jail term for his role in the 1968 Soviet invasion, has lost his appeal. The High Court in Prague raised his prison sentence to six years and changed the offence from abuse of power to sabotage. In the early hours of August 21, 1968, when Warsaw Pact troops invaded Czechoslovakia, Mr Hoffmann - head of telecommunications at that time - ordered Czechoslovak Radio broadcasts off the air in an attempt to keep the public in the dark about the invasion. "In the course of the military intervention, between 2 am and 4.30 am, he prevented the public from being informed about the current situation and understanding it. 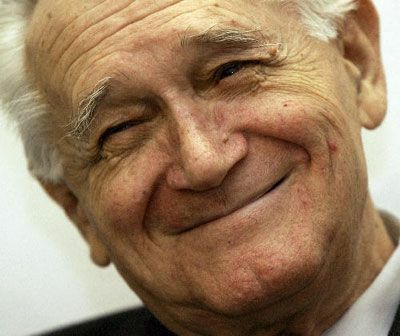 Therefore with the intention to harm the Czechoslovak state system he abused his powers and prevented Czechoslovak Radio from fulfilling its central duty and thus caused severe consequences." Hoffmann trial, photo: CTK Judge Josef Fremr announcing the ruling of the appeal court on Monday. 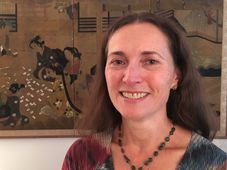 The High Court raised Mr Hoffman's original four-year sentence, which was handed down by a lower court in June, after both the defendant and the state prosecutor appealed against it. Originally, Karel Hoffmann was charged with treason, but the lower court sentenced him for abuse of office as it found no evidence to prove that Karel Hoffman was acting on orders from abroad. 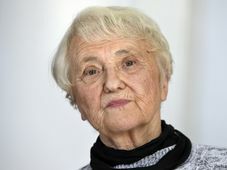 The appeal court on Monday changed the verdict to sabotage and sent Karel Hoffman, who is now 79, to prison for six years. This is what happened in the early hours of August 21st, 1968. Czechoslovak Radio started broadcasting an announcement made by the Communist Party Central Committee, condemning the invasion of Czechoslovakia. A few minutes later, Czechoslovak Radio went off the air on the orders of Karel Hoffman. As a result, it's not certain how many people actually heard the Central Committee's plea. Later Mr Hoffmann occupied many other important posts. He served as general director of Czechoslovak Radio. From 1971 until 1990 he was a deputy of the Federal Assembly and a member of the Communist Party's Central Committee presidium until November 1989. 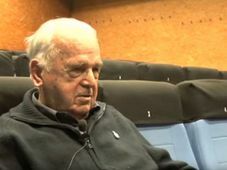 Karel Hoffmann, photo: CTK Mr Hoffman does not deny he ordered a halt to the radio broadcast in 1968 but he says it was just a regular technical break. He is not satisfied with the verdict of the appeal court and maintains that his trial is a political one. "I am disillusioned. I was sure that justice would prevail at the High Court. But it is obvious that even the High Court is under public pressure to produce a fall guy." Despite his age and frail health Mr Hoffmann says he is prepared to serve the sentence. 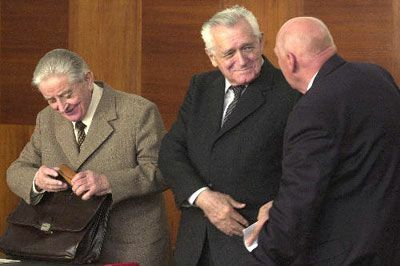 Mr Hoffmann is the first, and possibly last, top politician of former communist Czechoslovakia to be sentenced for actions connected to the invasion that prompted tens of thousands of people to emigrate.